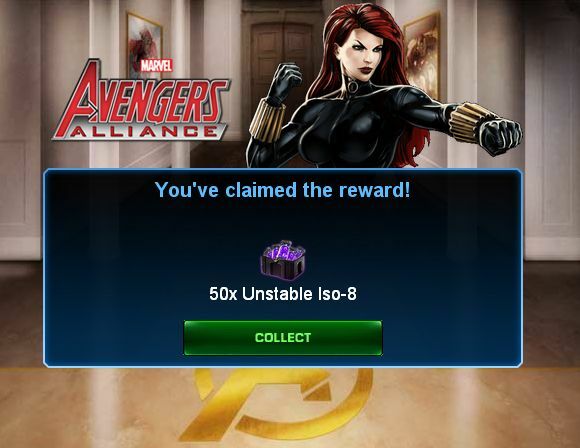 ooh neato: Marvel Avenger's Alliance - Free 50 Isos! It's been a long while since they posted one of these, but here it is: 50 free Isos for Spec Ops 7 of Marvel Avengers Alliance! Here's a link for 10 free Isos as well. Just 1 Iso... Playdom's stingy with this one.